Tucson, AZ—The gun rights haters are quickly moving in high gear to demonize American’s right to self-defense. They blame a certain Glock 9MM semi-automatic pistol and not the deranged Hitler and Marx aficionado, Jared Lochner who used it to inflict the carnage. Lochner was in obvious dire need of mental health treatment when he lied on the federal gun purchase form slightly more than a month earlier. Where was the concern about Lochner’s bizarre behavior over the last several years? Lochner was taken to the murder scene by a taxi cab, but had he been behind the wheel of a 3,000 car he could have inflicted as much death and destruction by driving into the crowd. 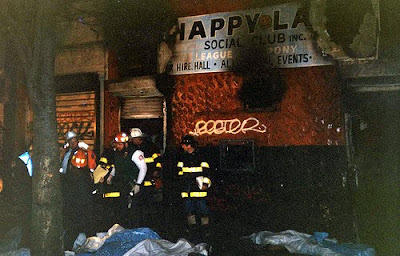 Lochner could also have employed a single gallon of gasoline like what was used by another maniac that destroyed the Happyland Social Club in New York killing 100 people in the process. Gun rights haters are overly obsessed with firearms to the point of phobic mental Illinois. They are irrational perhaps because they are fearful that they cannot control their own murderous or suicidal impulses. Hundreds of millions of Americans are armed with firearms every day and using them to murder never enters their minds. Nearly every American has total and constant control over planes, trucks, cars, toxic substances, knives, hammers, golf clubs and baseball bats without a thought of assault or murder. Criminals are the problem not inanimate objects that can be used for mayhem. Anyone one who thinks otherwise is as much a jackleg as Lochner. Cain killed Abel and it was without a gun. The human heart is the motive behind every murder. Those who blame firearms for the shooting of Gifford’s are greatly mislead. If guns kill people, do pencils misspell words? Cain killed Abel and it was without a gun. The human heart is the motive behind all murders. Those who blame firearms for the shooting of Gifford’s are greatly mislead. If guns kill people, do pencils misspell words? So a mentally ill, left-wing Jew shoots a Congresswoman and the mainstream media tries to pin the blame on the Tea Party, NRA on right-wing White Gentiles and on the pro-White movement. This should be a good reminder to everyone to be suspicious of the mainstream media. Tierney believes that Loughner was very interested in pushing people's buttons—and that may have been why he listed Hitler's Mein Kampf as one of his favorite books on his YouTube page. (Loughner's mom is Jewish, according to Tierney.) 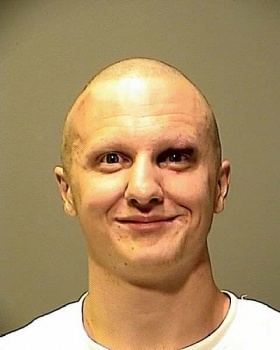 Loughner sometimes approached strangers and would say "weird" things, Tierney recalls. "He would do it because he thought people were below him and he knew they wouldn't know what he was talking about." Most people do not realize that the Happy Land massacre was Americas worst to date,but it does not get any press,especially by anti-gun folks. My name is Charlie Tortorello, 30 years on CFD now retired. I love your insight on many topics when you blog but can I make a small point about whack jobs. Just as the Lord said about the poor will always be among us, I say so will the insane. I am a simple person and I understand this. When politicians say they will make a law so this or that will never happens again I cringe because we cannot stop the whack jobs with new laws,or gun restrictions. I like to keep it simple in that respect and watch out for me, my family and friends, and anyone else who is around me that I can help. That cane is really great. I would love one but our politicians here in Illinois don't trust us with our own self defense. Here is something to blame that the media has so far missed. Let us blame the movie "Inception" for jared's actions. Did Jared see that movie, because it is about as confusing with its dreams as Jared with his words and dreams. Is this the world we live in now - a nonsensical one? Where even logic has departed the planet. "Is this the world we live in now - a nonsensical one? Where even logic has departed the planet. January 12, 2011 10:50 PM"
logic is a reasoning procedure. the end conclusions reached by reasoning logically depend entirely upon the elements one chooses to logically consider, the sequence in which one places said elements, the truth, or lack thereof, of each element, the chosen relationships of each element to another and the completeness of including all elements relevant to the specific query. there is body logic, the given imperatives being: continue to function/survive and make another body/reproduce. the primary motivators of body logic are: pleasure, the positive encourager, and pain, the negative discourager. there is spirit logic, the primal imperative being: to love and be loved. there is mind logic, the function of which is to mediate, negotiate, translate and reconcile conflicts between the body's imperatives and the spirit's imperative. use logic to understand the elements of the 7 deadly sins and their effect upon human behaviors. and try to resist the illogical impulse to oversimplify. oversimplification merely omits valid elements and results in invalid conclusions. The explanation & break down of the various logics above by anonymous is enlightening but incomplete. I wish it were just that simple, but there are also peoples motives involved in their reasoning, and many fallacies. Some people use fallacies unintentionally because they have not been born with the gift of reasoning, others use fallacies intentionally. The world is littered with people in high and low places using fallacies intentionally and unintentionally. the devil, indeed, is in the details. the body wants, the mind calculates the cost of getting the body what it wants, the spirit simply bides it's time, loving and seeking to be loved. inevitably, the body returns from whence it came. and where does that leave the spirit? Anonymous on January 14 2011 outlined some definitions for want, need and deserve but they do not encompass an entire definition because what we may want, we may not need, and what we need we may not want. So we cannot equate good with what we want and bad as getting what we don't want in all cases. Also deserve is not what we sow, as obviously the Arizona congresswoman did not deserve to be shot in the head, and nor did the 9 year old deserve to die or all the others for that matter. Please do not confuse victimhood with deserve. We also don't need to be loved by someone we don't love. but the spirit simply bides it's time, loving and seeking to be loved, which may be true but certain spirits like Jared on Jan 8th 2011 was not seeking to be loved by his acts on that day. I am not sure that we can assign love to each single spirit. If we could do this there would never be any wars, although a spirit who has murdered may also be able to love. For instance Hitler loved dogs.